Federation of Canadian Artists “First Place Award” for the juried exhibition Spring Palette 2018 show at the Osoyoos Gallery, given for the painting “Robbie Said”. Federation of Canadian Artists "Second Place Award" at the juried exhibition Spring Colours 2017 show at the Osoyoos Gallery, given for the painting “No where to hide”. 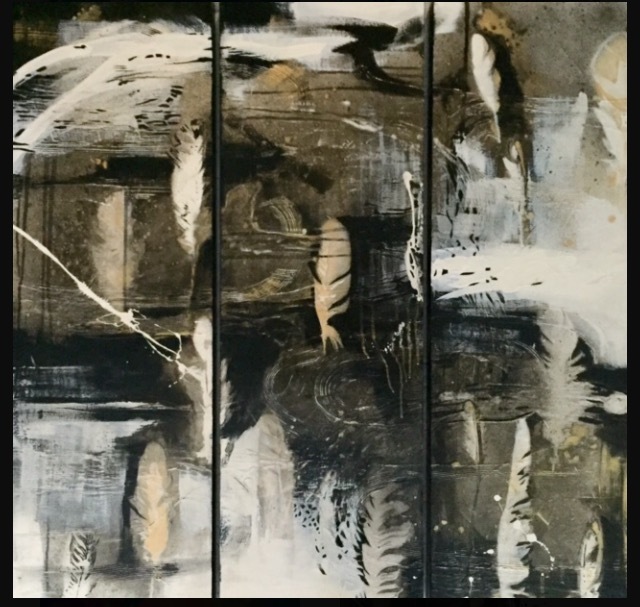 Federation of Canadian Artists “Honourable Mention” at the spring juried exhibition at the Osoyoos Gallery, given for the painting “Birds on a Wire". Best in store merchandising award "first place" awarded by the Retail Council of Canada for the Mission Hill estate winery. Publication featured in International Contemporary Artists.